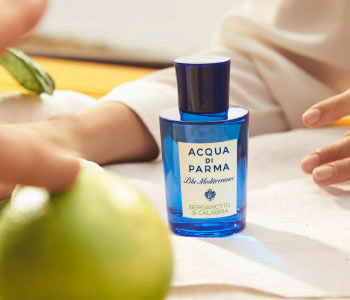 Acqua di Parma Blu Mediterraneo Bergamotto di Calabria, with its exhilarating benefits, will transport you to the fascinating region of Calabria. The fragrance opens with a burst of vitalizing energy. The green, sparkling top notes of bergamot are exalted by the freshness of citron, also from Calabria. The perfume slowly unlocks its soft, intense bouquet, revealing the fruity, floral accord of bergamot in its heart notes, with refined nuances of cedar wood and red ginger.